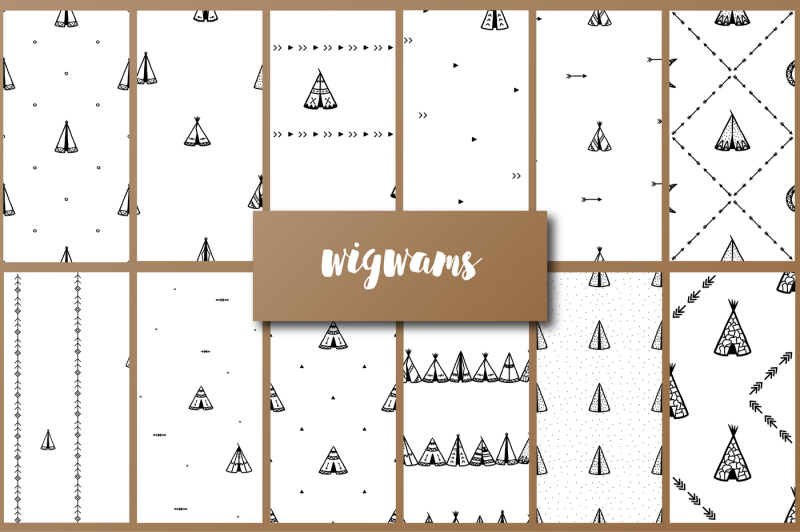 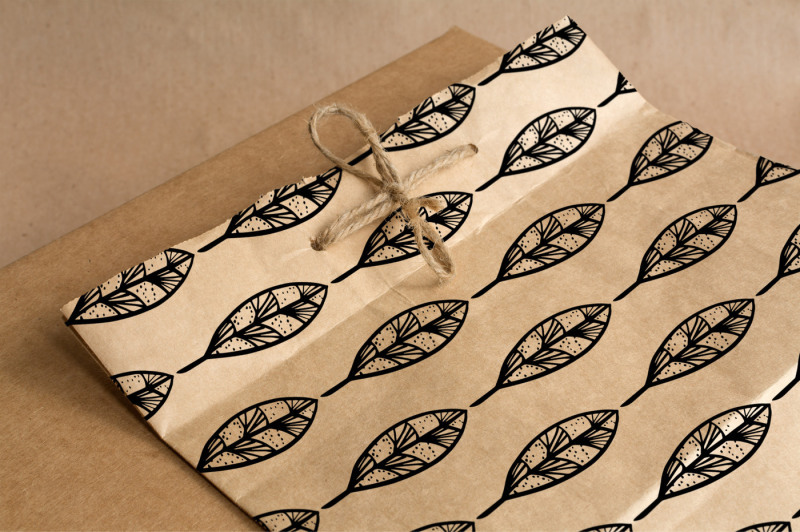 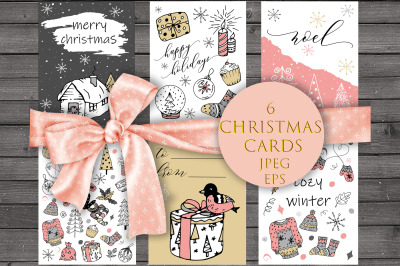 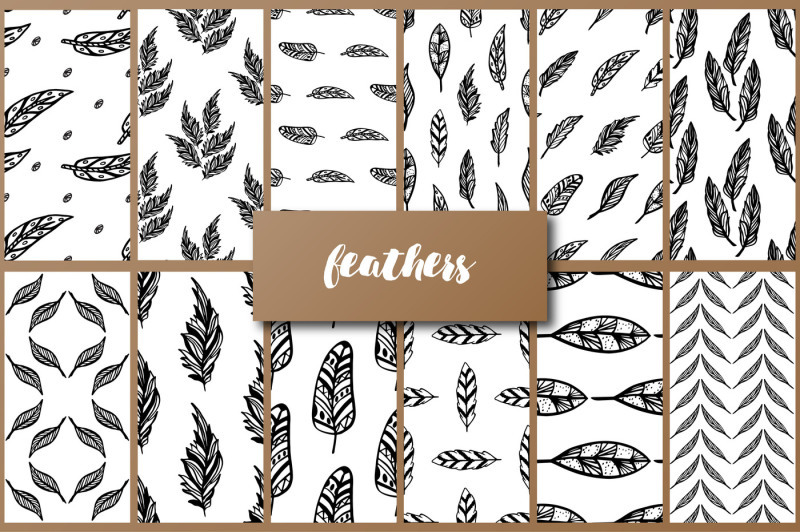 This set includes 12 seamless patterns with wigwams, 12 seamless patterns with feathers, 12 seamless patterns with beads. 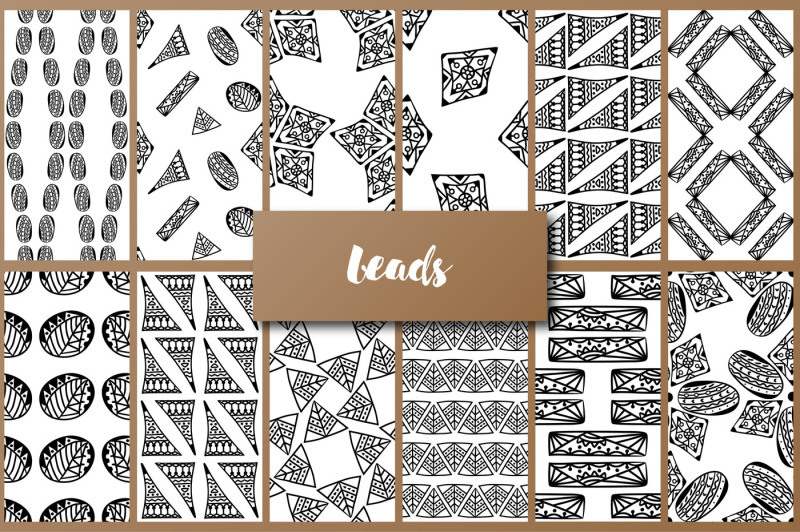 Black outlines on white. 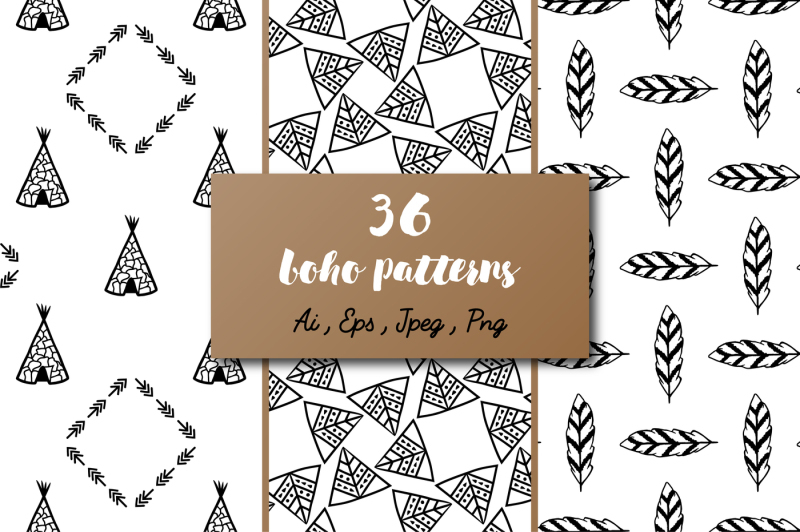 Can be used for backgrounds, wallpapers, cards, posters, invitations, party decorations, packaging paper, scrapbooking, gift wrapping, textile, shower curtains, duvet covers, pillows, web backgrounds, stationary and more!